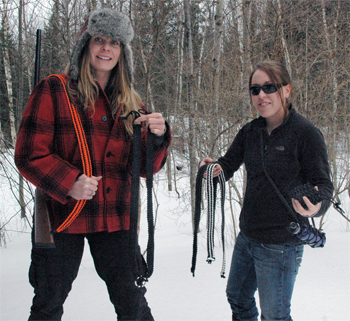 Welcome to an introduction to Northern Skies, created to provide survival gear to help people on their quest for self sufficiency in the wilderness. We encourage you to browse our product lines featuring: paracord bracelets, paracord suspenders, bottle holders, paracord pouches, paracord rifle slings and paracord slingshots. 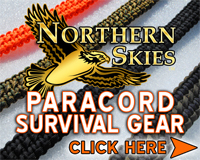 Paracord can aid anyone in a survival situation. These products have been field tested. Thank you for your time. Dani Rutledge of Epoufette, MI - Two time breast cancer survivor and lady dairy farmer. Andrea Everhart of Gould City, MI - Bush Plane Pilot and Holistic Medicine Expert.